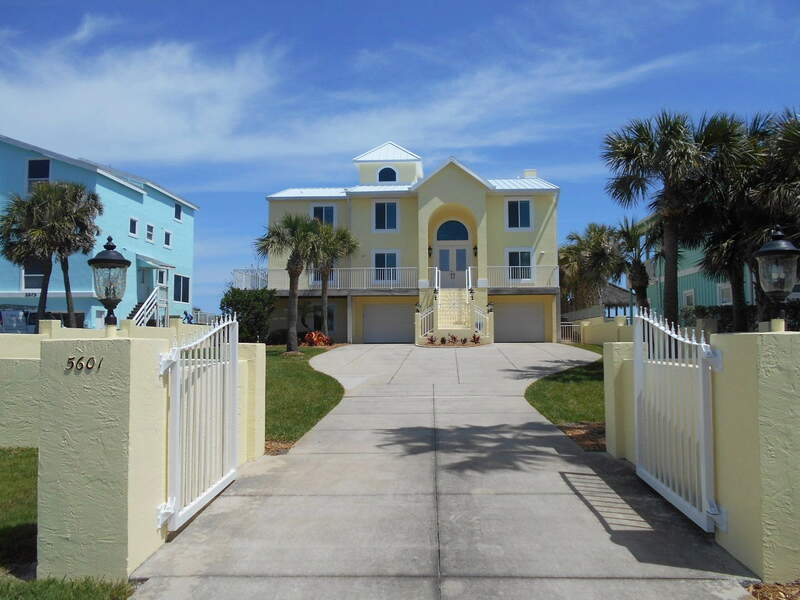 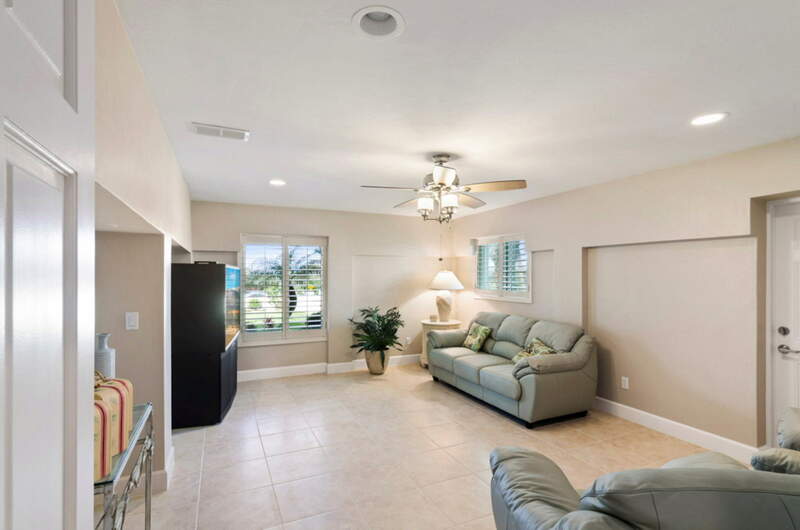 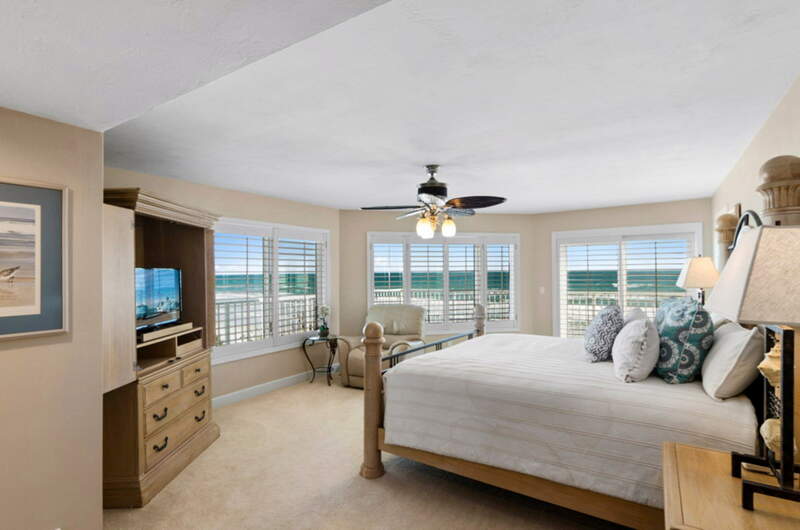 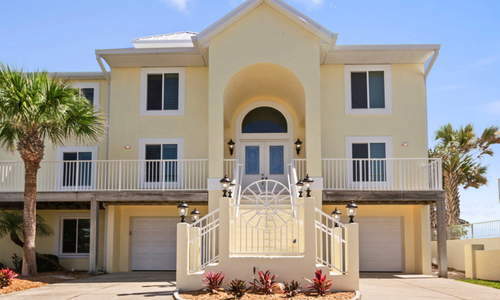 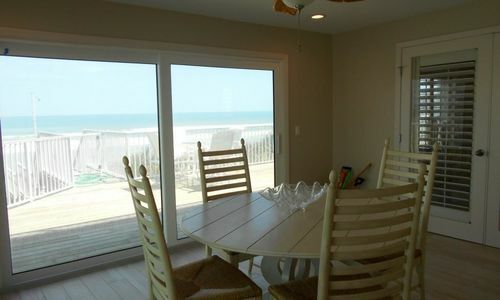 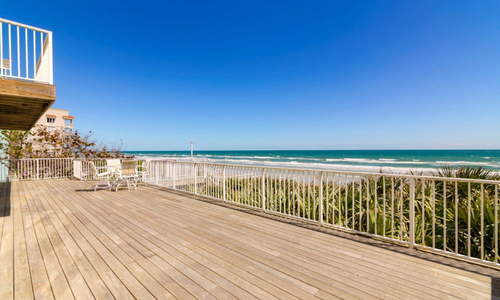 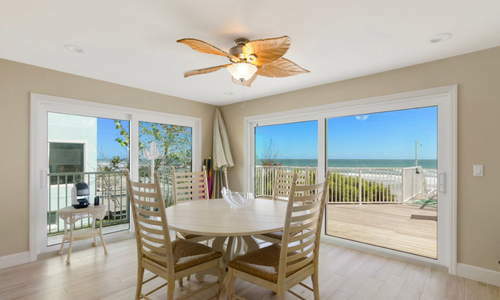 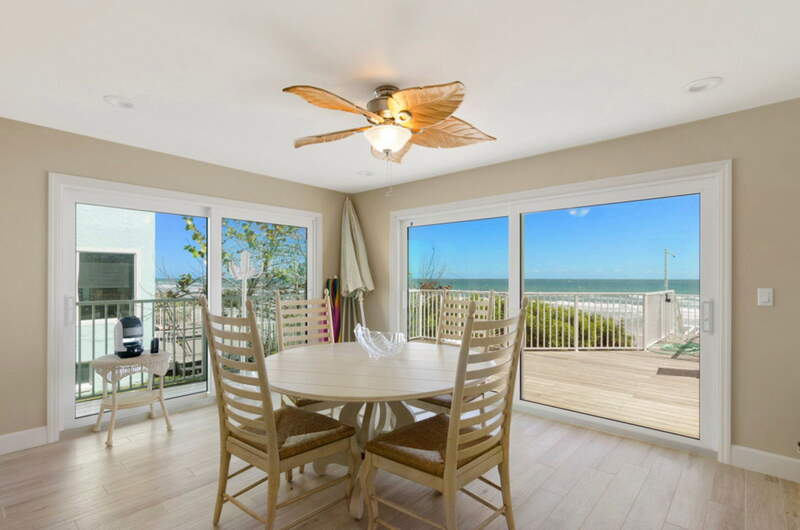 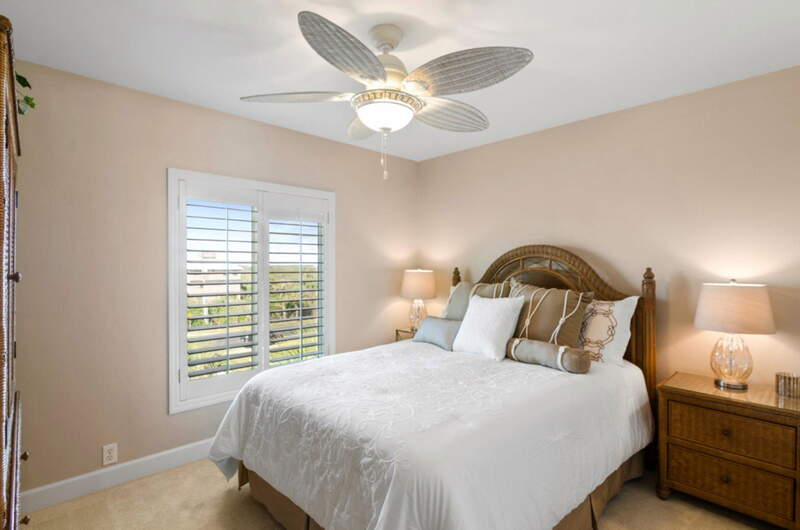 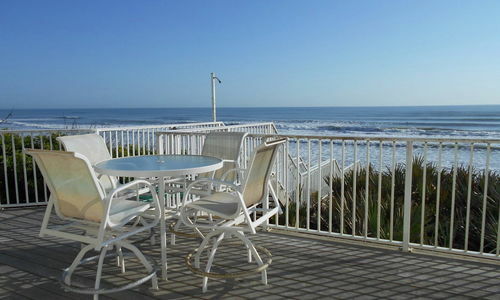 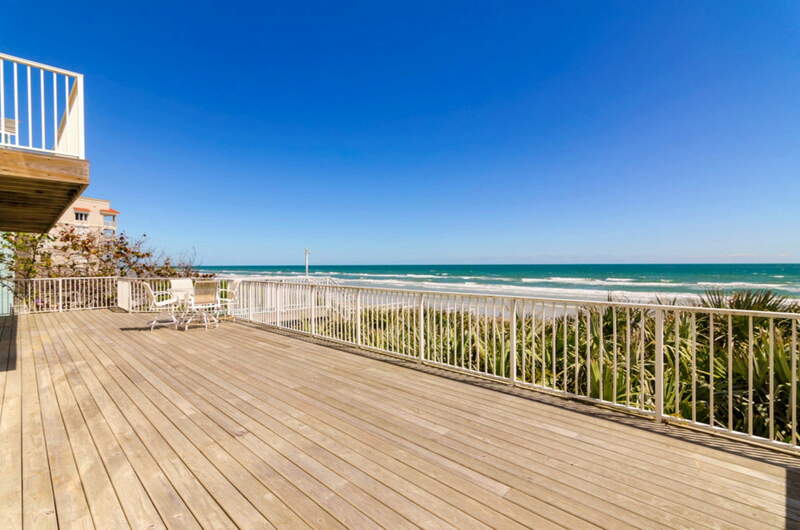 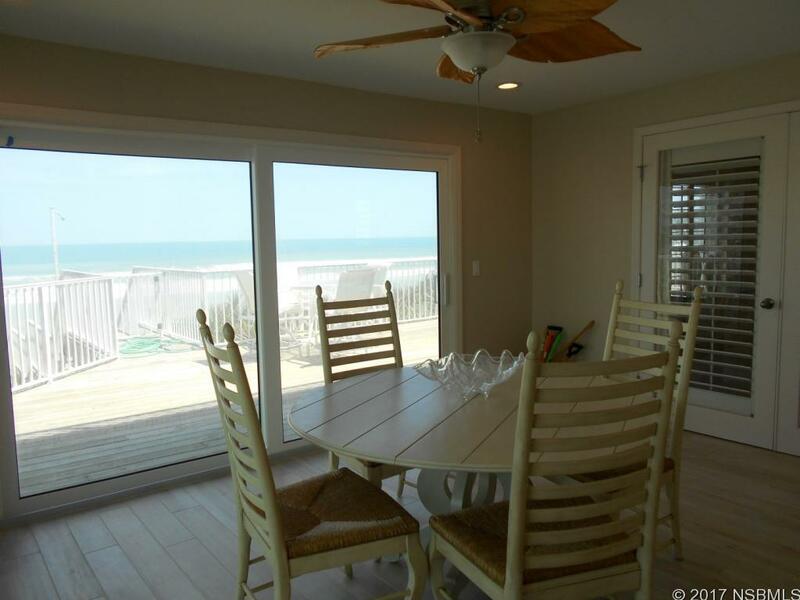 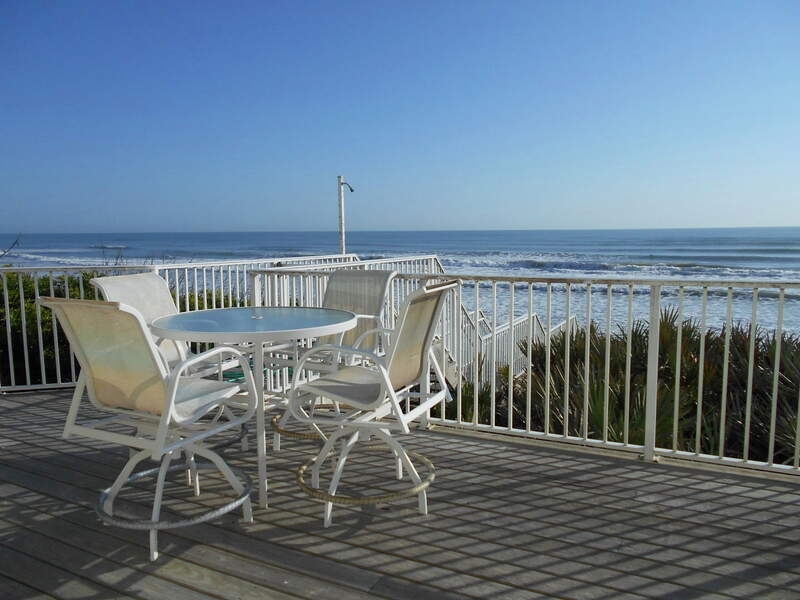 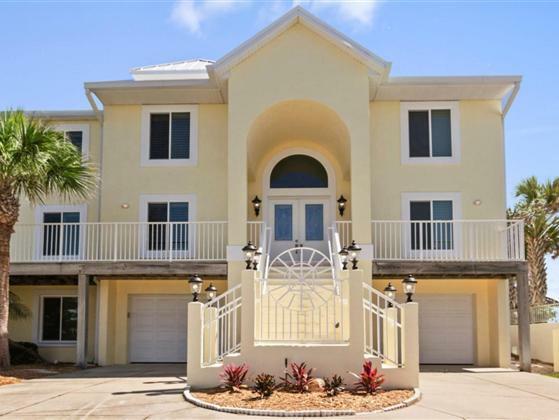 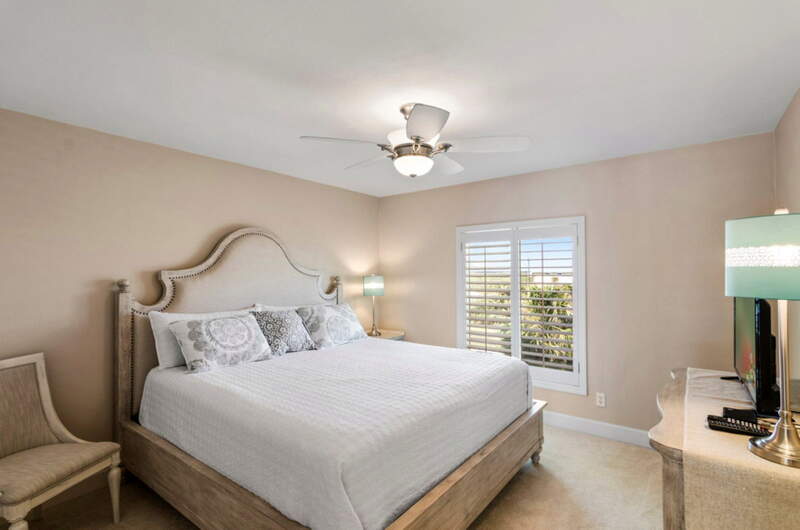 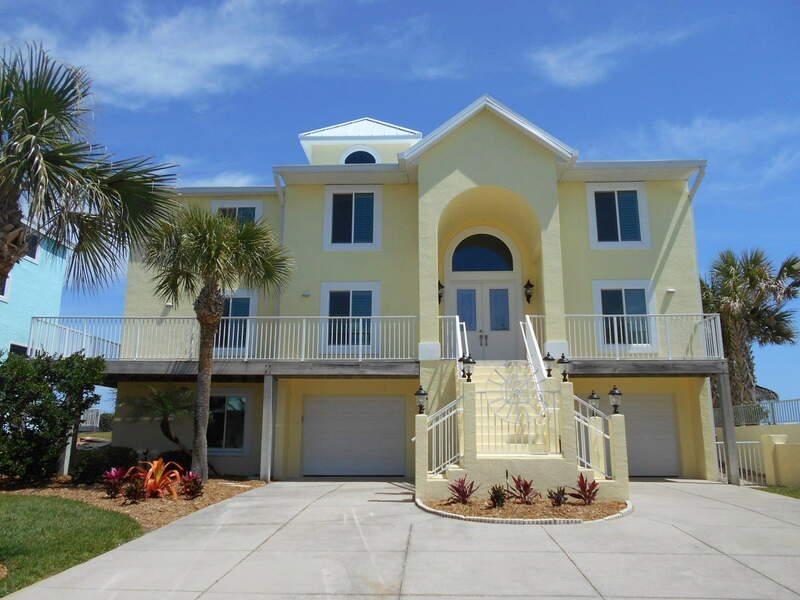 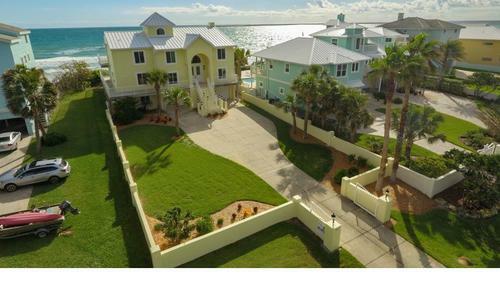 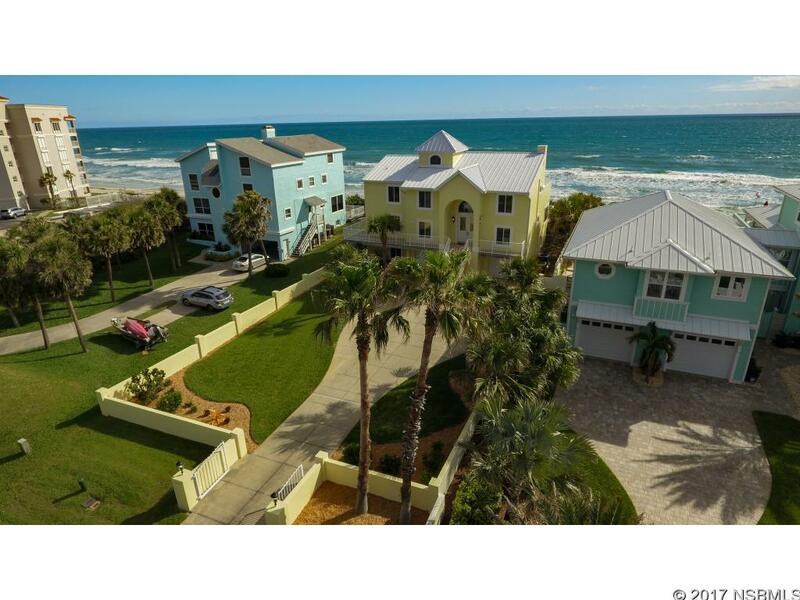 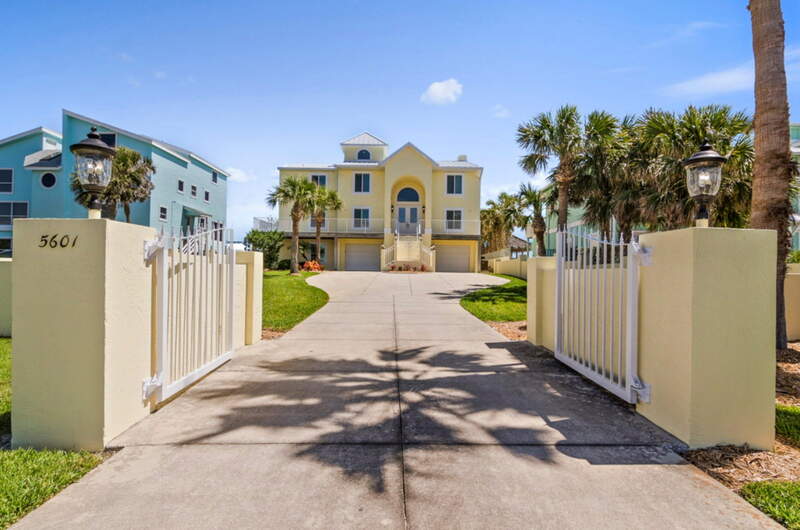 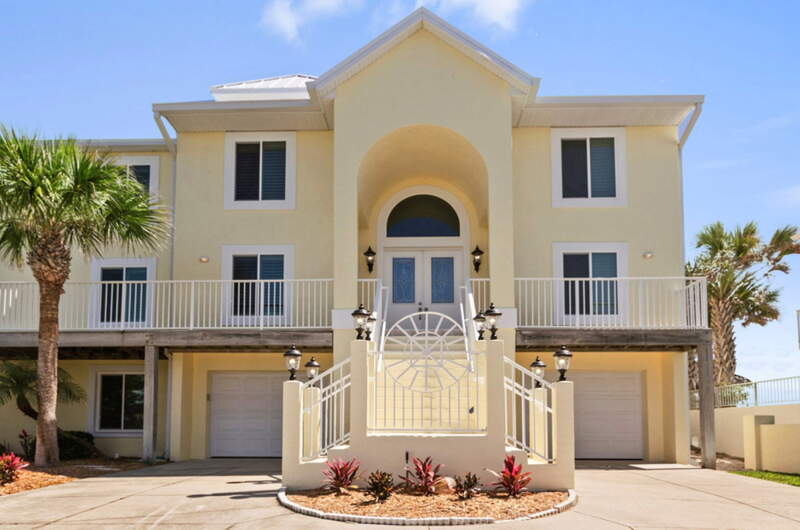 Enjoy the huge oceanfront deck and out door shower just a few steps down to the beach at this direct oceanfront 5 bedroom 4 1/2 bath 2 car garage furnished home. 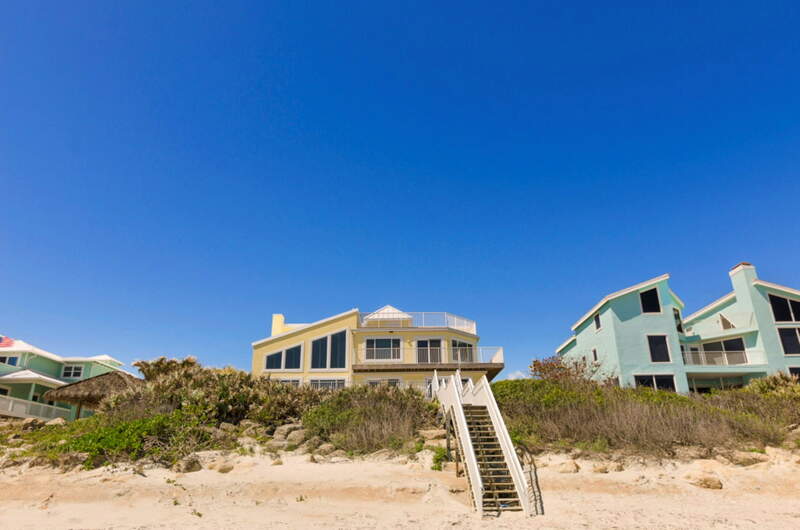 Mostly renovated in 2016/2017 except roof in 2014. 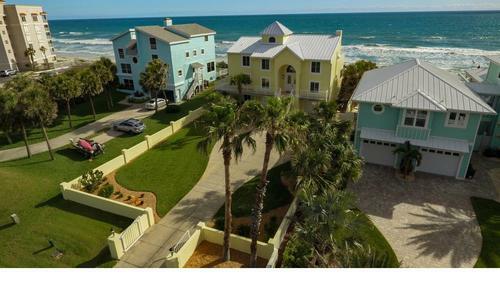 What I like: Wide lot with space between you and neighbor. 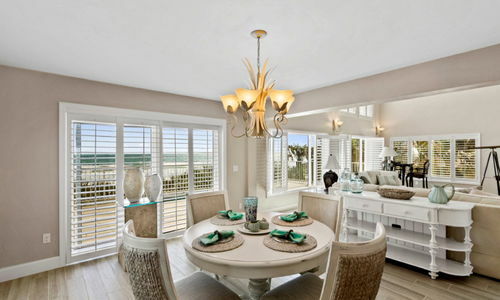 Luminous sunrises. 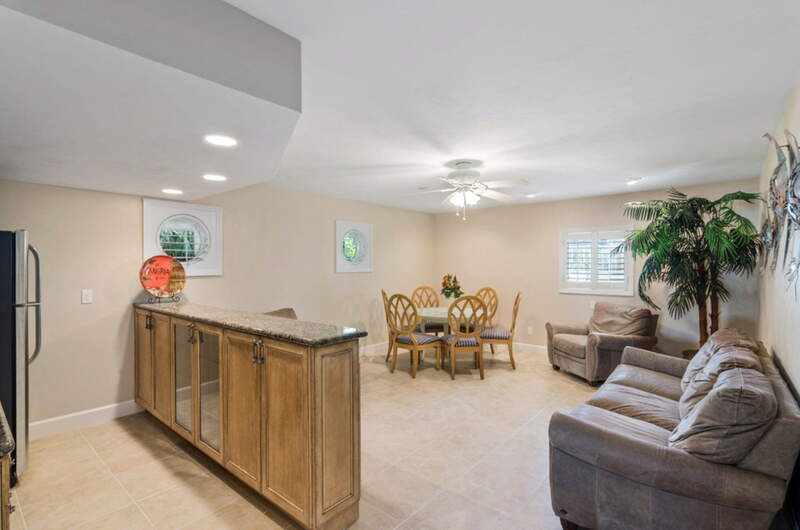 Ground floor is set up for company or in laws with an ample kitchenette/laundry/1 Br/1ba and living area; 2nd floor has 1Br, 1-1/2 ba,LR,Kitchen, Den plumbed in for wetbar and surround sound…and a sunroom or Dining room, volume ceilings, all beautiful and open views to the Ocean with pale bleached wood look tile floors, winter white cabinets, and designer cut granite. 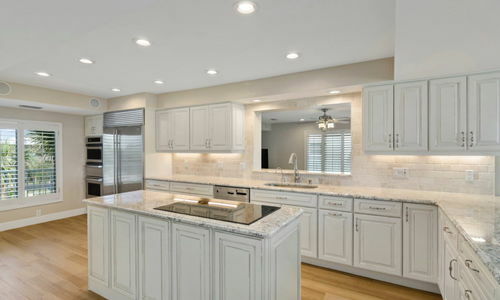 Stainless appliances-hi end. 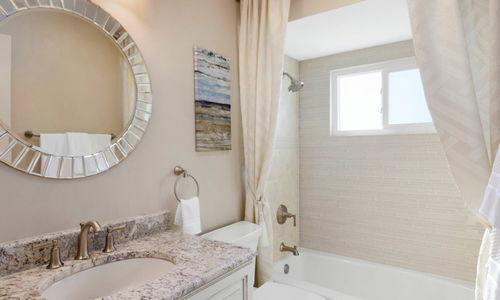 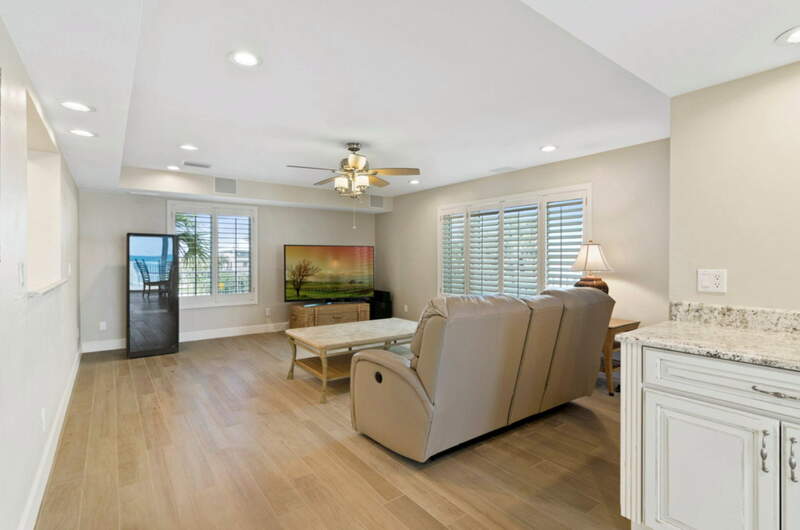 The second floor opens to a spacious deep wrap around deck that leads over the Ocean rock revetment bulkhead to the shoreline and surf and has windows that reach for the sky. 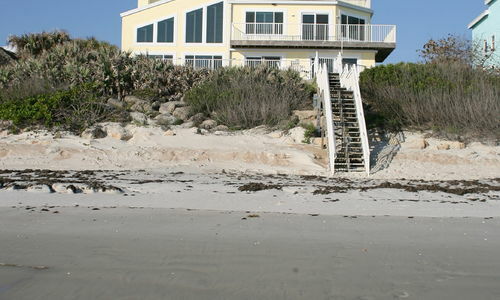 Lots of shells on the beach and few people. 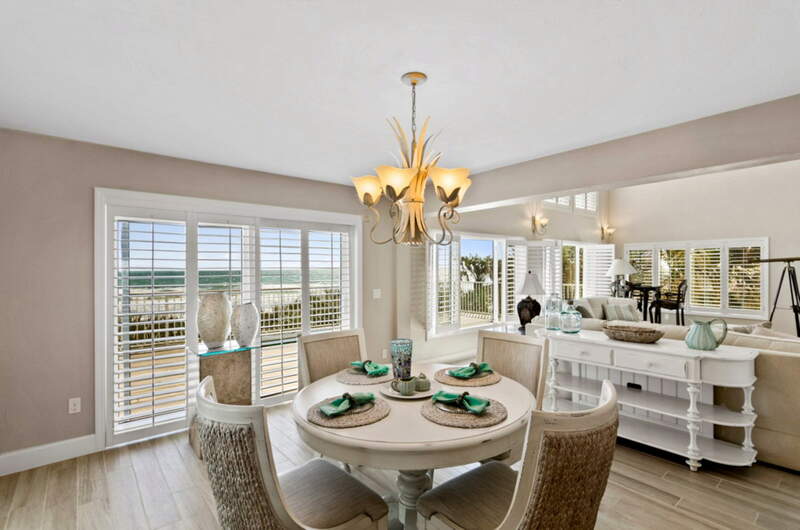 Hand selected furniture and accessories throughout. 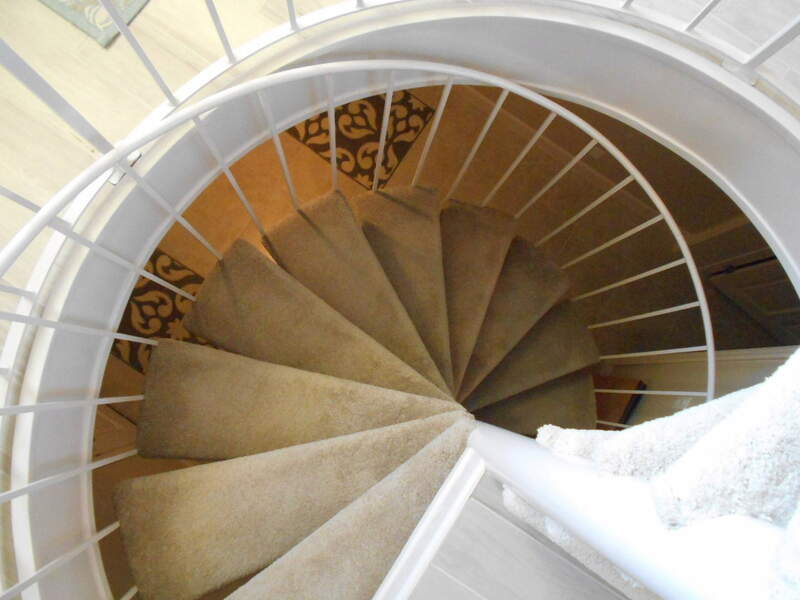 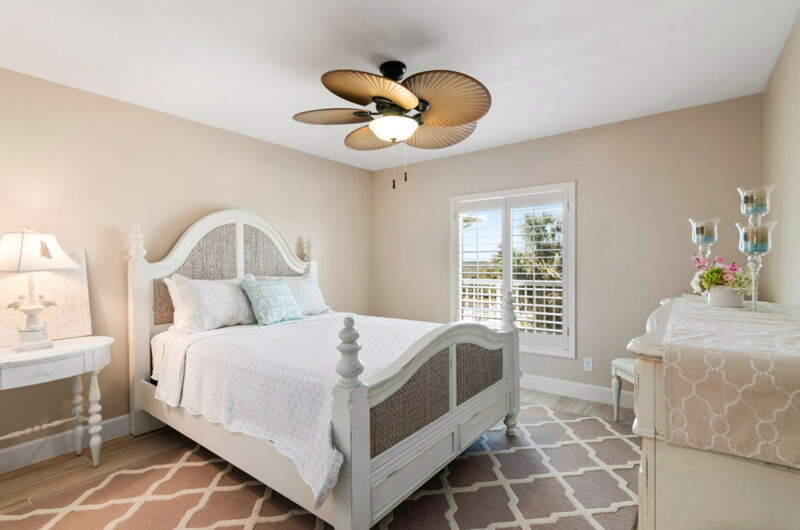 Ascending to the third floor, the North wing is filled with a generous Master suite with adjoining office with built in shelving on the west wall, 2 bdr/1 bath off the hall, and more outside decking complete the third floor. 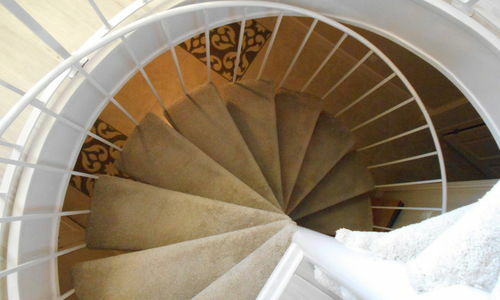 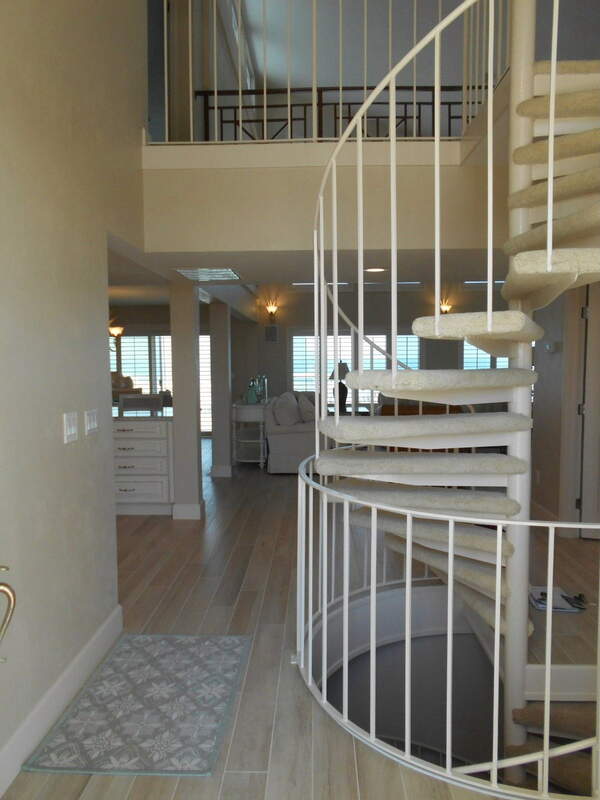 Amazing views, but better views up the staircase to the observation deck. 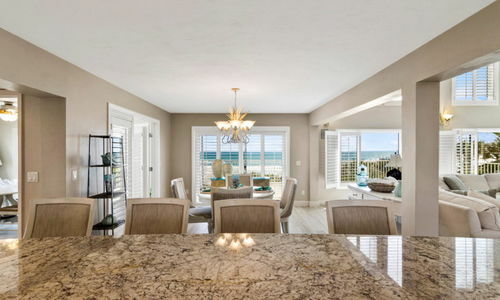 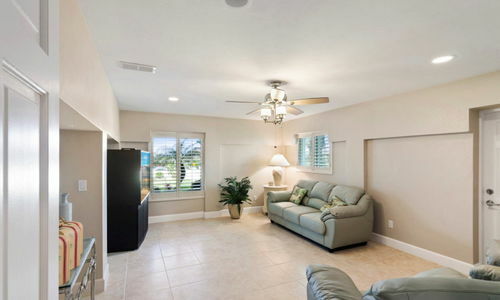 The observation 4th level has a landing and door that lead out to a semi protected observation deck big enough to watch the Cape Canaveral launches , Whale watching, or have a small dinner party. 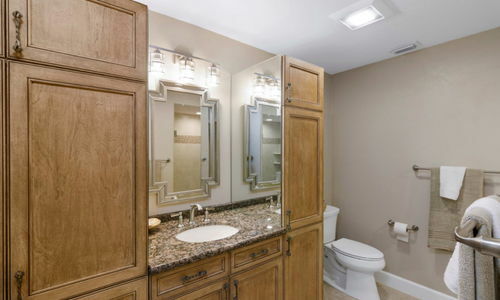 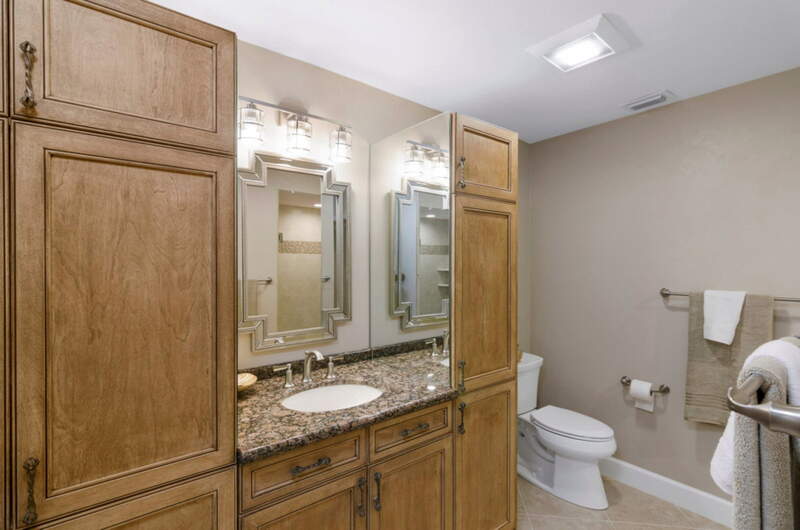 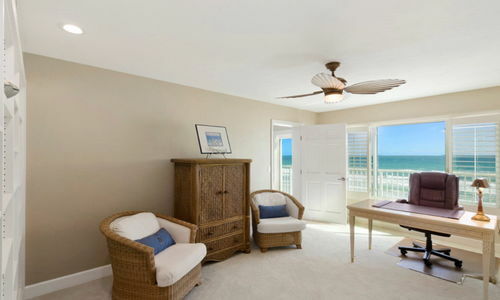 There are 3 A/C systems, one for each floor. 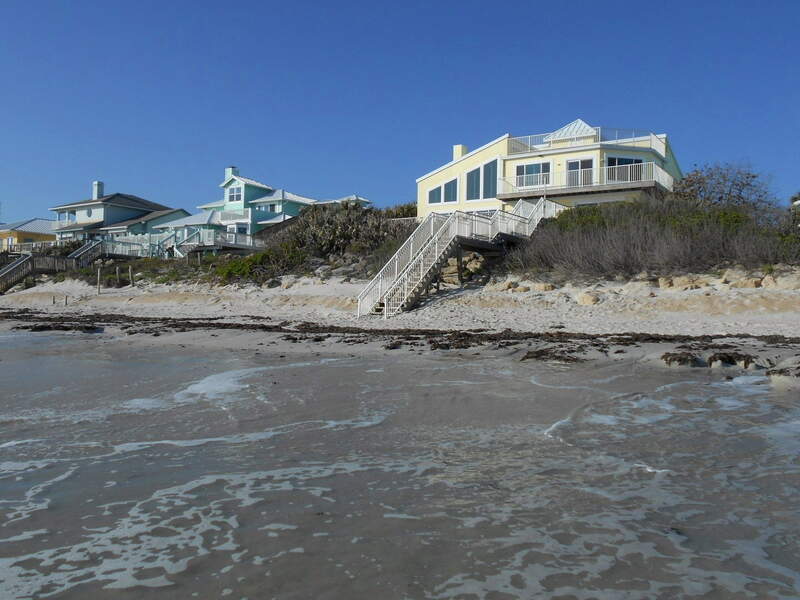 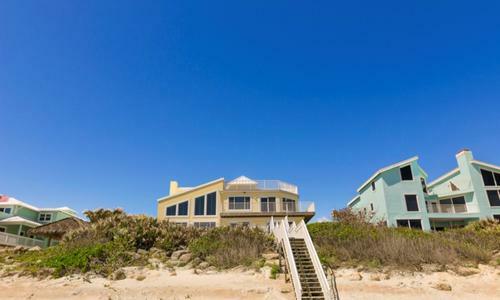 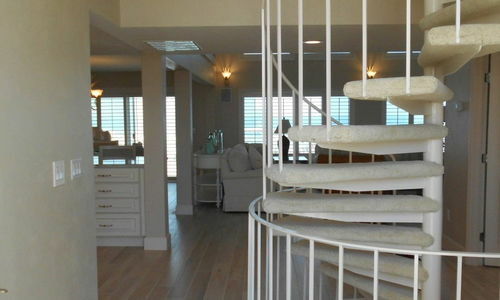 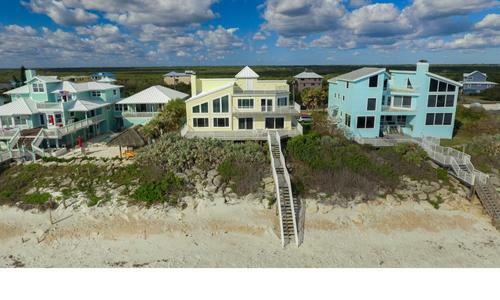 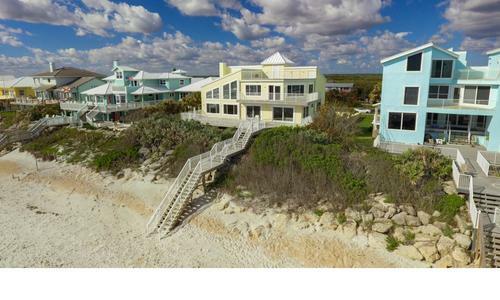 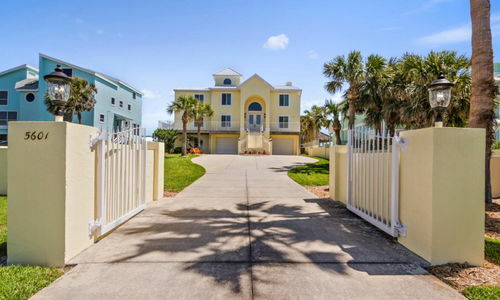 This is the best Oceanfront home I have seen under $2,500,000. 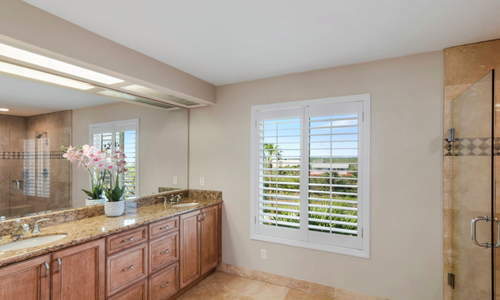 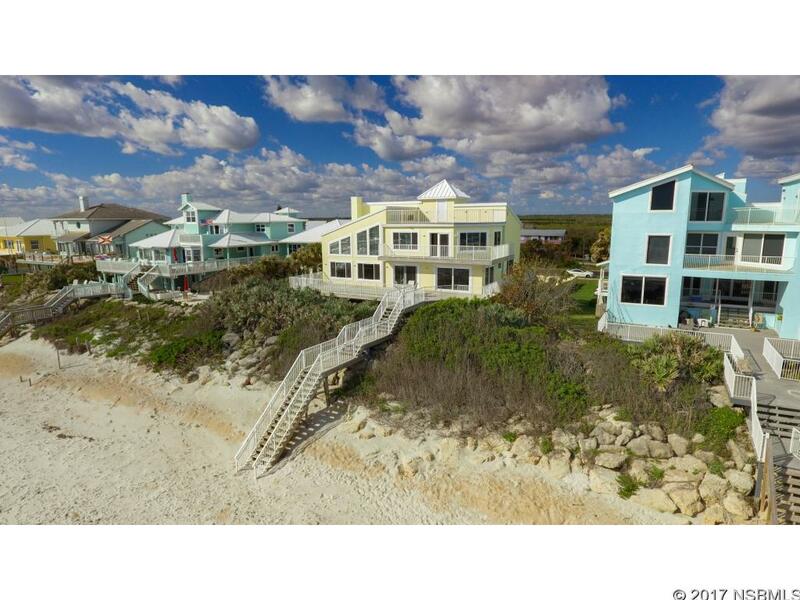 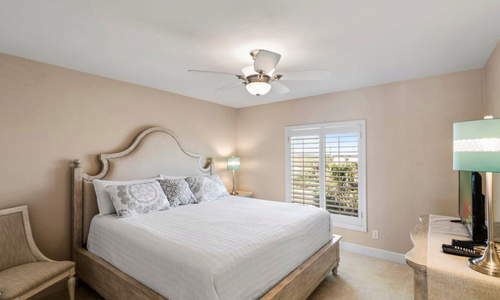 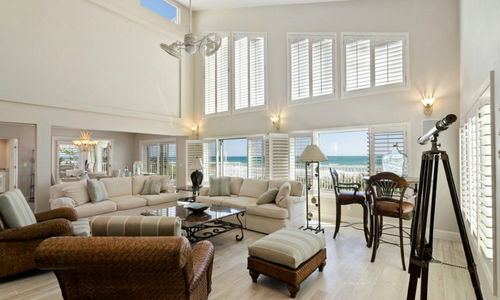 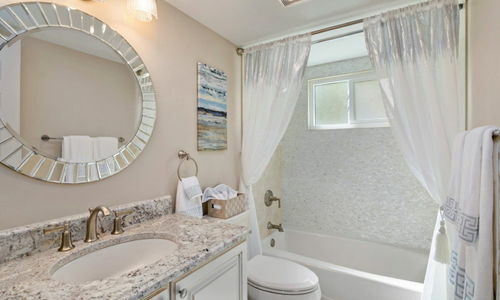 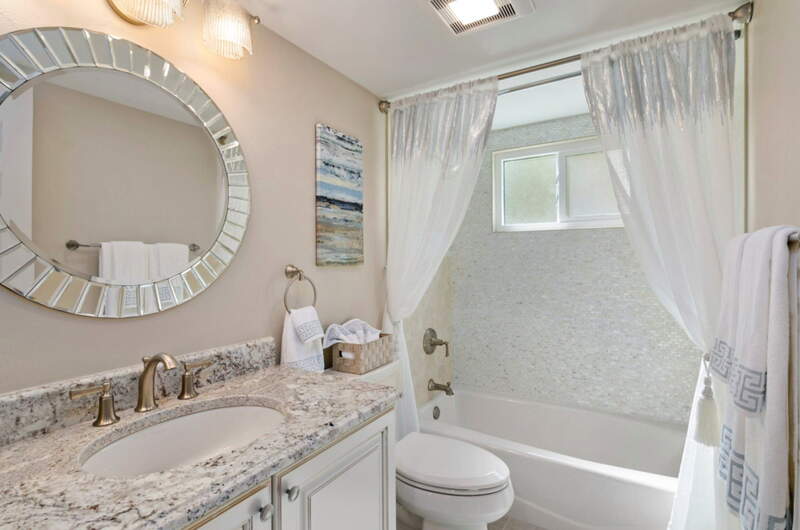 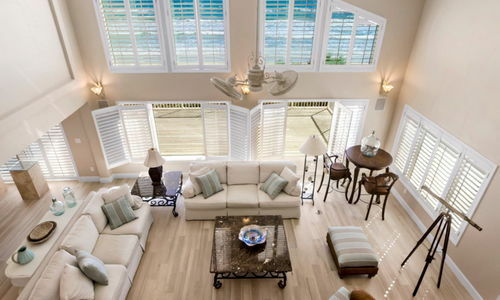 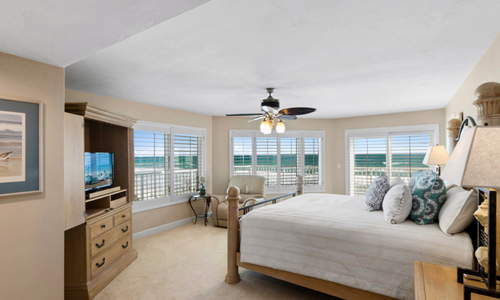 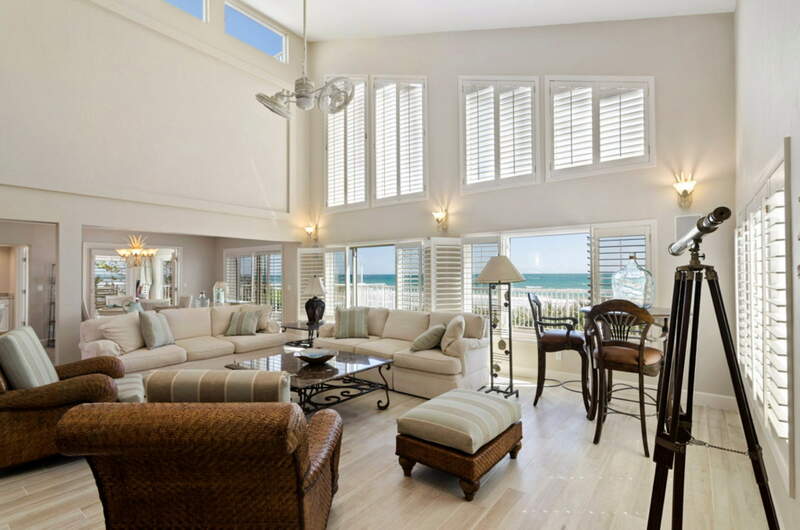 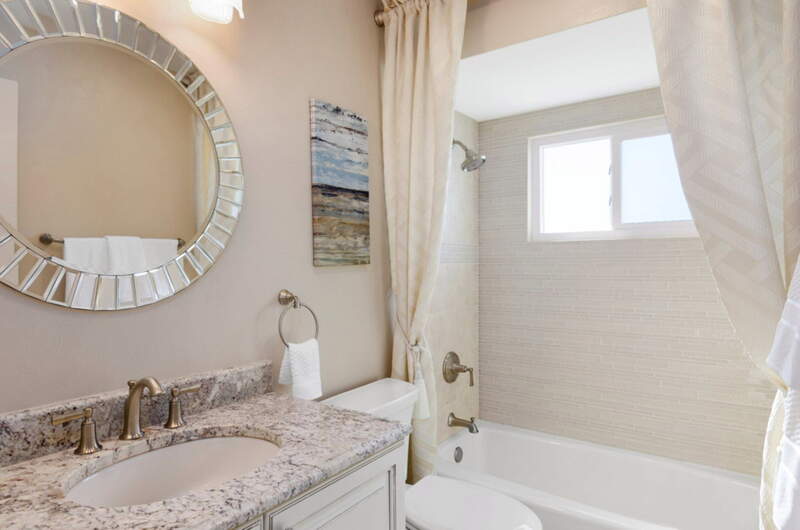 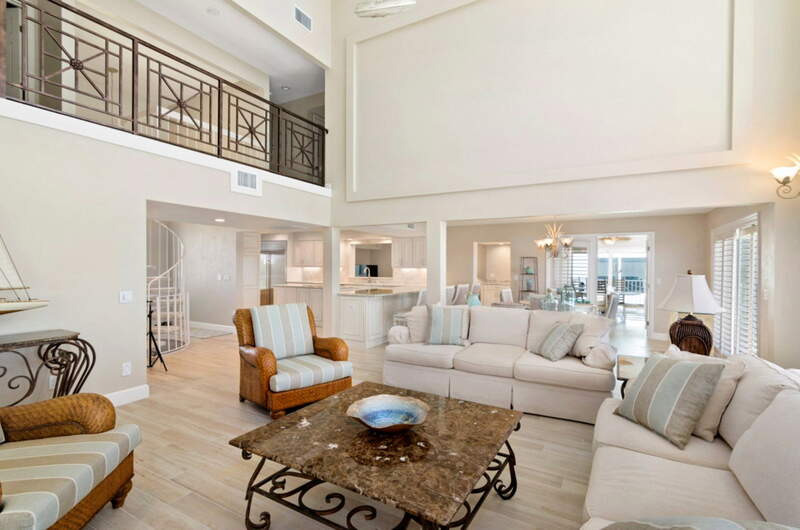 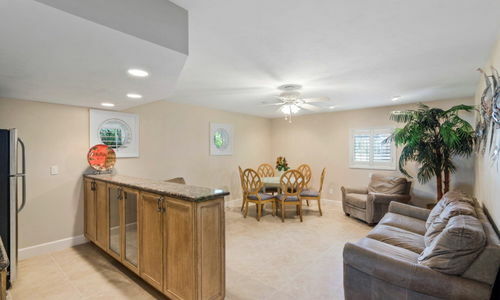 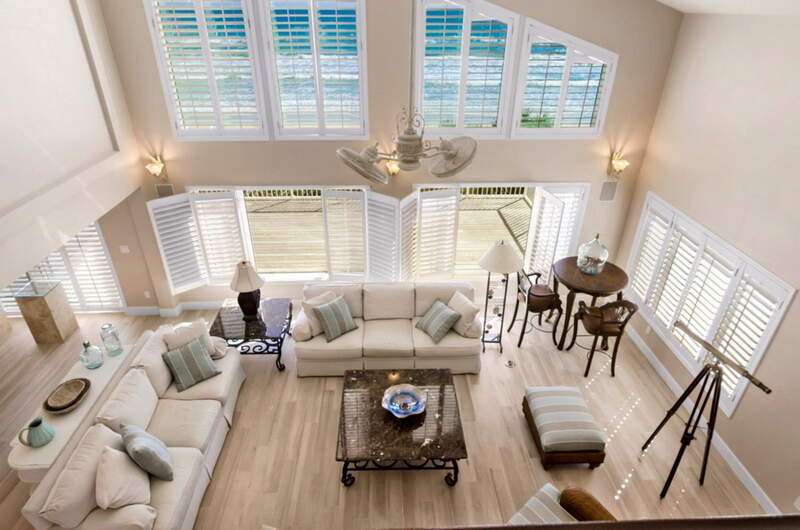 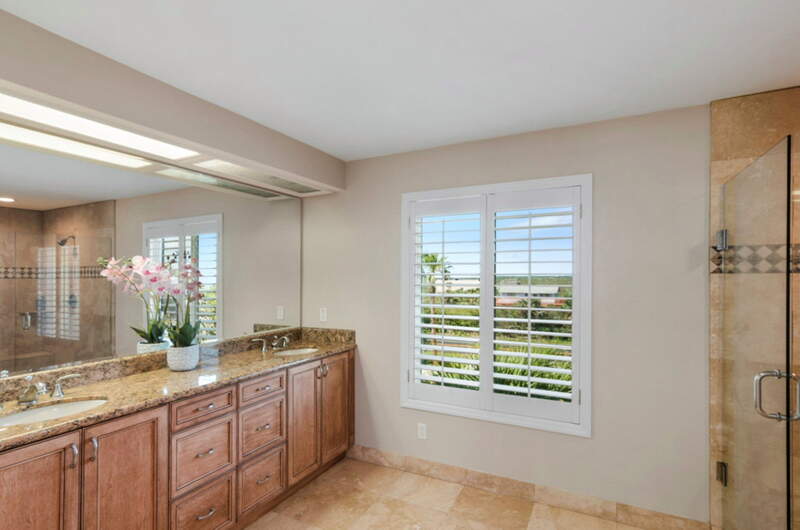 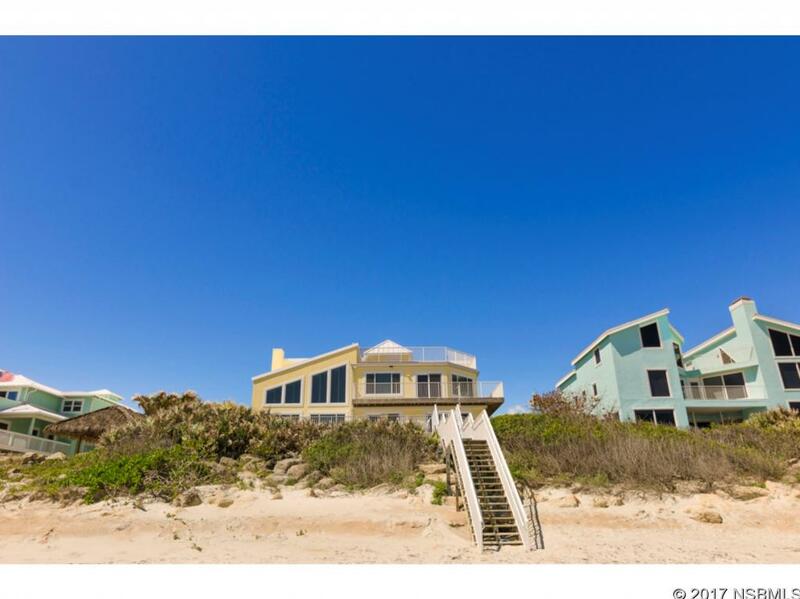 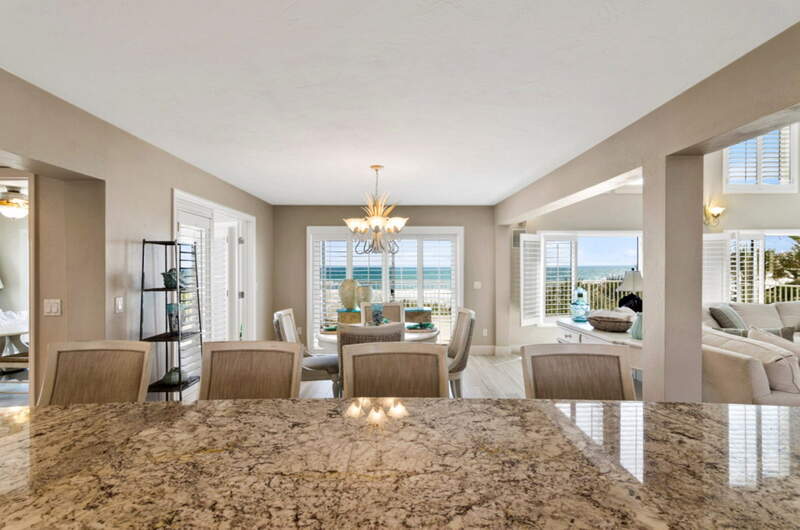 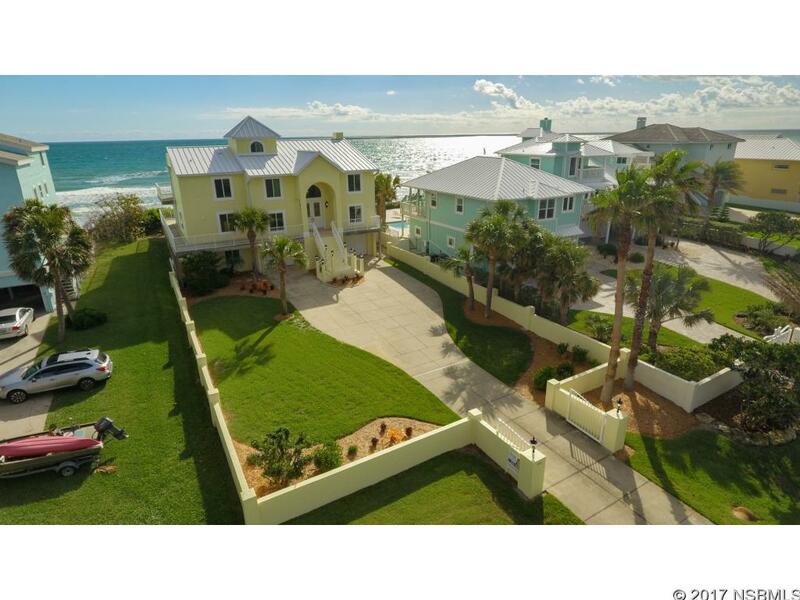 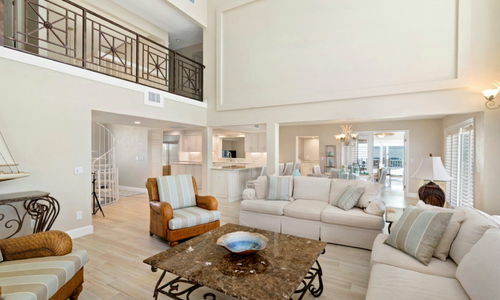 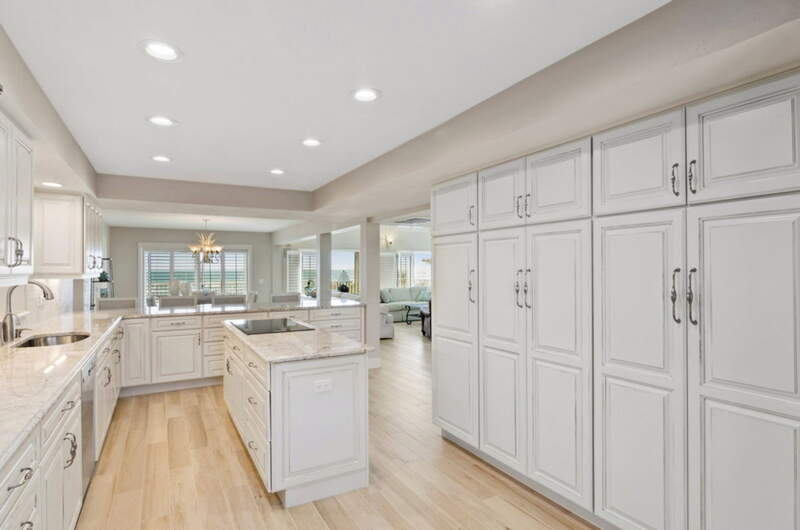 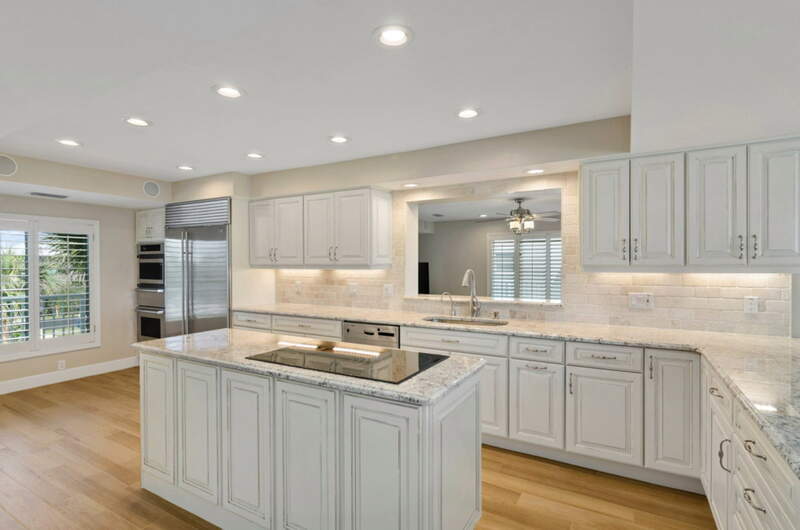 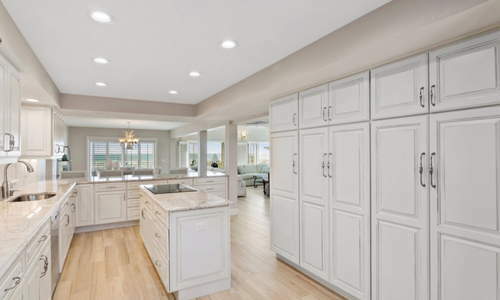 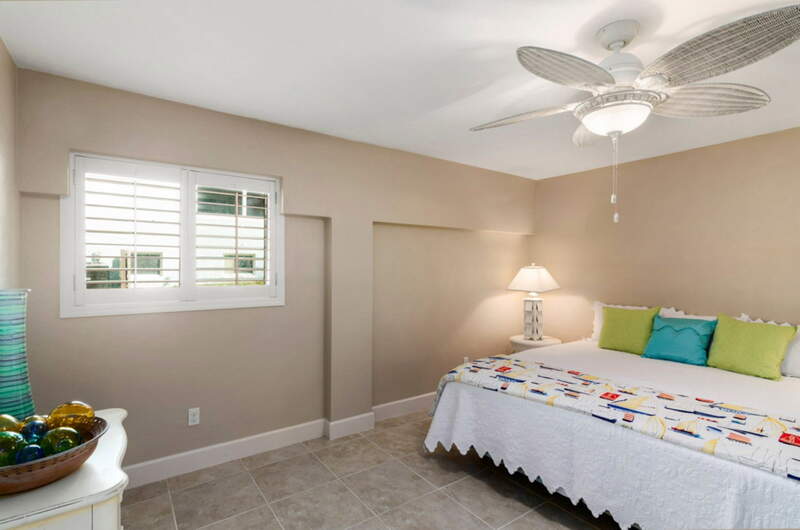 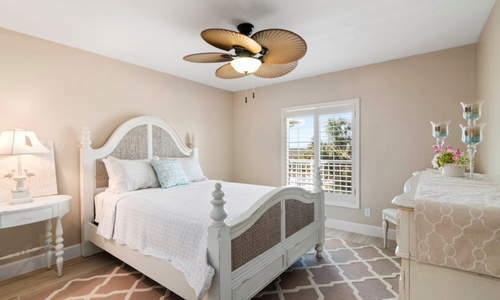 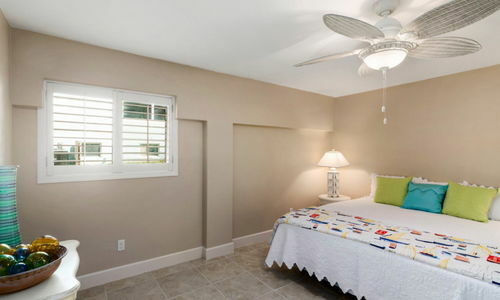 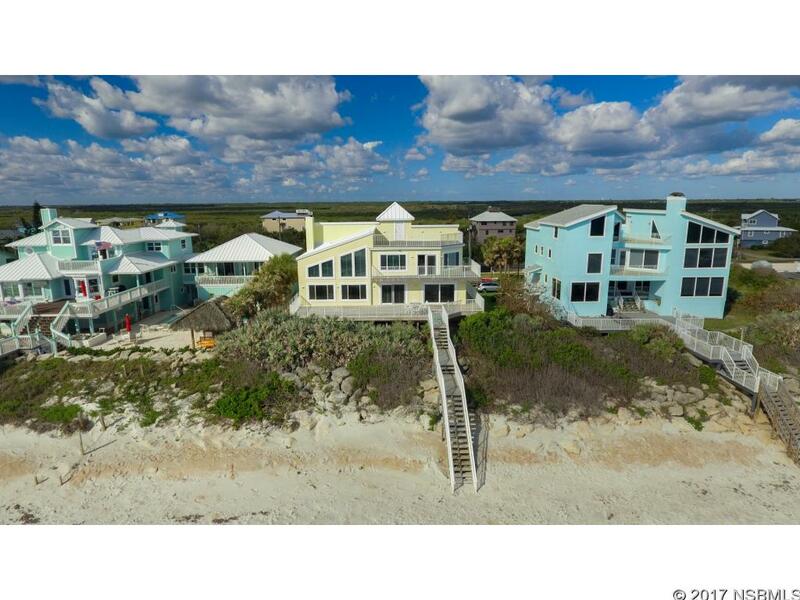 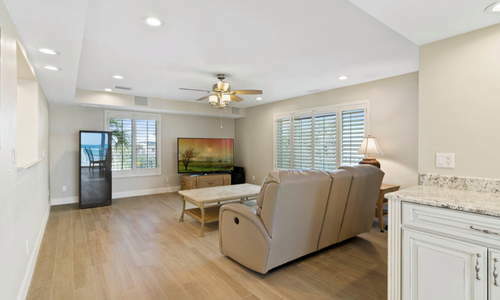 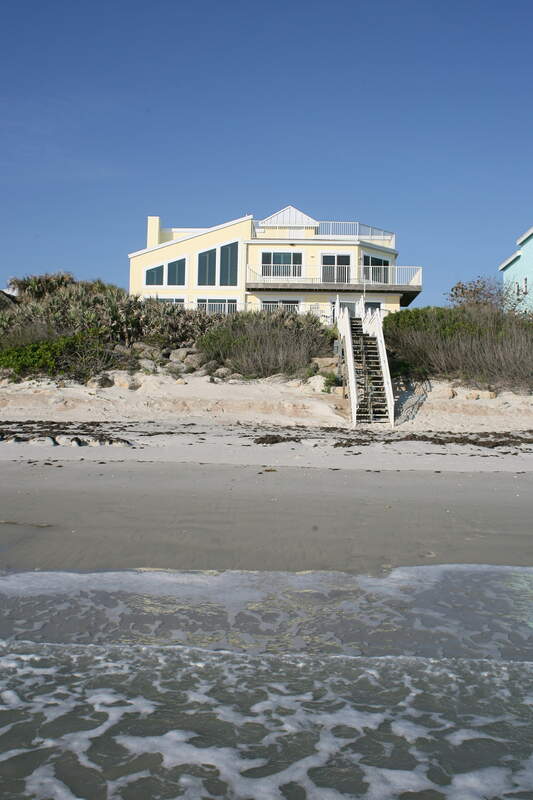 This elegant Oceanfront home presents itself like a brand new home with the renovations just recently completed. 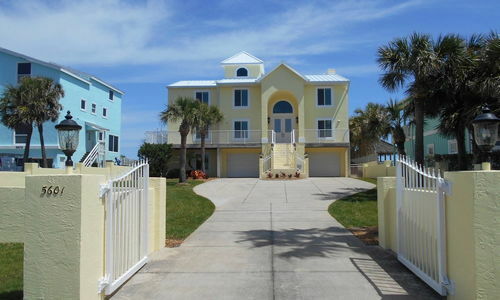 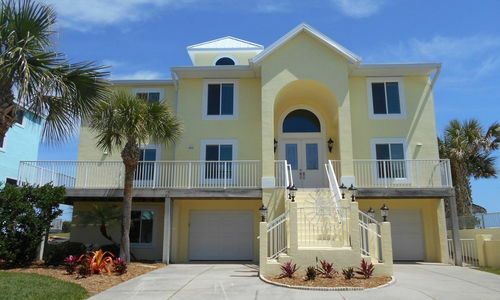 Buy it today and move in tomorrow with this choice Ocean front opportunity move in ready home. 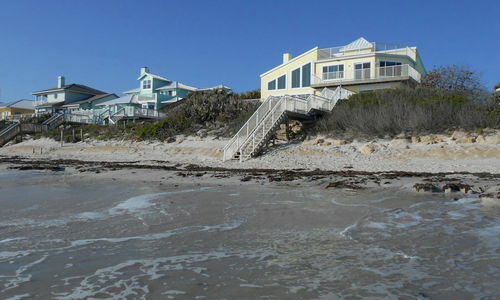 Be here on the Ocean and never want to leave.